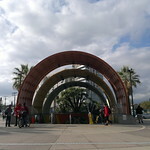 North Hollywood is a combined heavy rail subway station and a bus rapid transit (BRT) station in the Los Angeles County Metro Rail system. 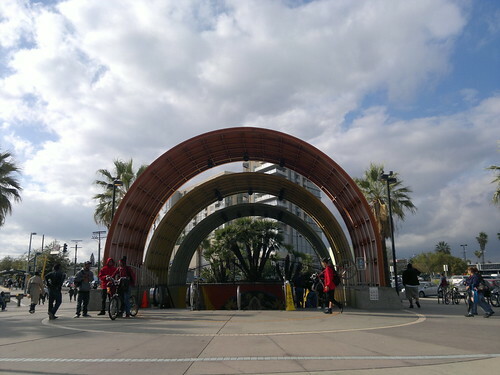 It is located at the intersection of Lankershim Boulevard and Chandler Boulevard in the North Hollywood district of Los Angeles. This station is served by the Red Line subway service as well as the Orange Line BRT service. 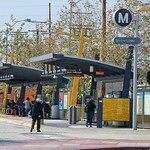 The station is the northern terminus (the last stop) of the Red Line, and the eastern terminus of the Orange Line in the Los Angeles County Metro Liner system .